Back to school is around the corner for many individuals. This means that it is time to get off the couch and get back to class. For many freshmen college students, this means that it’s time to add a couple of extra things on their school list that wasn’t exactly there when they were in high school. From a new laptop to amazing ways to keep you focused, we have some amazing gadgets that should be apart of your list for back to school. We don’t expect you to get everything on the list, but purchasing any of the items on this list will be very beneficial for your college years. Many of us know all about how netbooks are all the rage now. 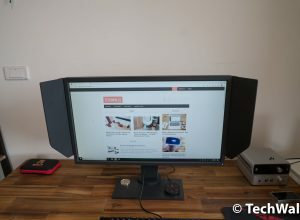 From individuals in small working areas to older, computer-illiterate adults who don’t need a whole bunch of bells-and-whistles, a netbook is perfect for them. However, many times, netbooks are known for how they don’t always add up as power machines. Many of them have smaller specs to match their smaller devices. However, Apple has been able to break that misconception lately with the MacBook Air. Before, MacBook Air laptops included very small storage capacities and were many times quite slow. 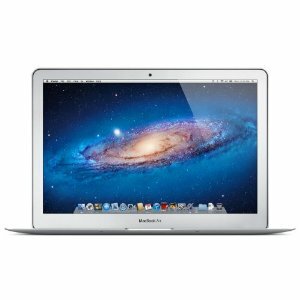 However, with flash storage compatible to up to 516GB, processing speeds topping 3GHz, and suitable battery lives, MacBook Air is becoming a popular laptop of choice for many college students on a budget and master Internet users looking for a small companion alike. 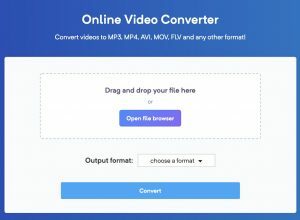 Despite the lack of an optical CD drive, the implementation of Mac App Store focused downloads and the ability to rent and purchase movies on iTunes, the lack of a CD drive isn’t something you’ll be largely impacted by. If you feel the pressure for a CD drive, Apple has it’s very own branded SuperDrive that does the trick. 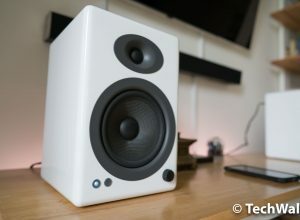 Starting at $999 for 11-inch to $1499 for 13-inch. Important note: the 11 inch lacks an SD drive. Laptops are nice ways to unleash long research papers, work in processor intensive applications, and just to take advantage of the extra screen real estate. However, laptops can get in the way, and when we aren’t looking toward working on our mid-term papers, laptops don’t ways have the same leisurely feel that comes with tablets. The Blackberry Playbook offers a great, cost efficient way to surf online, play games, and much more while on the go. Thanks to Blackberry App World, apps like Angry Birds and Facebook are available at your fingertips. With 3 megapixels for the frontal camera, five megapixels in the back, and the ability to record up to 1080p video, it’s a multimedia machine as well. With Skype, video calls back home can put that frontal camera to some good use. While some may not look at it as a an iPad competitor, it is a perfect alternative. The LTE support (coming soon! ), SD card slots, and Micro HDMI/USB support makes it fulfill the needs that many people are lacking with the iPad. WIFI-only devices starting at $149 for 16GB, $249 for 32GB, and $299 for 64GB. I’m a note taking machine when I go to classes. The art of physically taking notes, formatting them in my own way, and being able to go back to them later is what makes them more appealing to me than typed notes. However, many times, the professor may be worried that their students are focusing more on gathering notes whether than absorbing the material. Livescribe solves both situations of appreciating the art of note taking while still allowing you to focus on what is being taught. 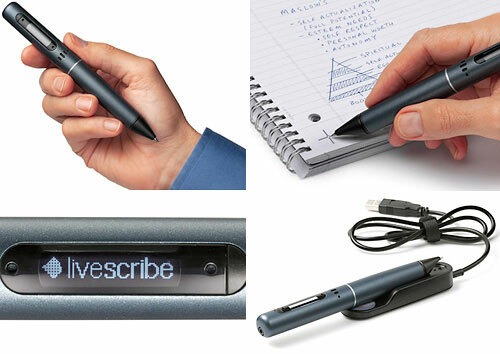 Livescribe has the technology of not just the “Smartpen”, but also their special Anoto-patented note taking paper. When working together, the Smartpen records the audio of the lecture while also recording your pen strokes with the use of tiny dots on the paper. Just click record on the paper, pause during breaks, or stop when the lecture is over. While this award winning technology does come at a cost (initial plus recurring to key up with paper), it could be a lifesaver for many easily distracted students. The new Echo pens start ay $119.95 for 2GB up to $149.95 for 8GB. Paper begins at $8.95 for a 150-sheet college ruled notebook. Of course we had to include the new iPad on this list. This is for two reasons, first off, the pricing that Apple is offering is welcoming for any new college student. For two, the applications available make this a must-have for college students. In terms of pricing, as many of you know, Apple has a special where, if you purchase an iPad between now and September 21st, you’ll get $50 back to use in the App Store. Mac buyers get $100. Enough money saving, let’s focus back on the device at hand. The new iPad was announced in March, released in a little over a week later. The tablet now features a Retina display, a faster processor, full HD video recording, dictation, LTE, and now Siri. Plus, with the App Store’s large array of education focused applications, the iPad could be a great educational companion. Prices starting at $499 for 16GB to $699 for 64GB WIFI-only, $629 for 16GB up to $829 64GB for WIFI + 3G versions. Being able to focus on the work at hand is essential for any student, especially college students. From a busy dorm room to a busy classroom, noise canceling headphones are an essential way of blocking out everything around you. The headphones are wireless, running on Bluetooth and AAA batteries. 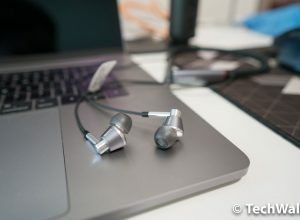 While they are cupped headphones, I prefer in-ear phones, the over-the-ear design is meant to work with the noise canceling technology. Plus, the headphones come with a cord allowing you to remotely answer/end calls and control your iPod’s music. While they are a bit more expensive than what I enjoy paying for headphones, they truly are long lasting and will most likely live with you past your college years. 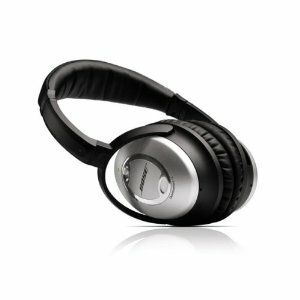 Available for $299.95 at the Bose Store. Great post Emmanuel. I think the new iPad and the Macbook are two of the must have gadgets for the college students. Anyways, thanks for sharing this awesome post buddy. It’s time to get back to the college :). The new iPad also can be replaced by Android Tablet, it is also good and useful.